Major foreign investment banks revised down their forecasts for South Korea’s economic growth for this year and 2019, citing unfavorable conditions both at home and abroad, a report showed Thursday. According to the report by the Korea Center for International Finance, the forecast by nine major global IBs as of end-November averaged 2.7 percent for this year and 2.6 percent for next year, down 0.1 percentage point each from the figures presented a month earlier. Nomura, for example, downgraded South Korea’s growth projection for this year from 2.9 percent to 2.7 percent, and trimmed the figure for 2019 to 2.5 percent from 2.7 percent, citing restructuring in major industries and tighter labor conditions. 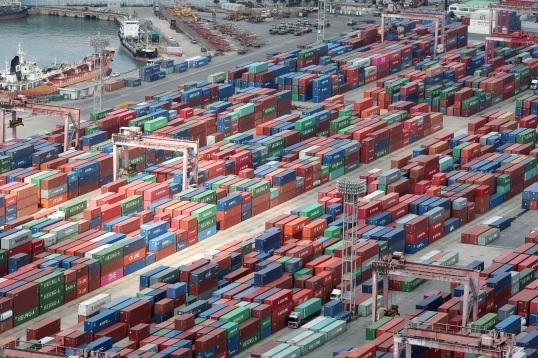 At the end of January, they expected Asia’s fourth-largest economy to expand 2.9 percent this year and 2.8 percent for 2019 on average. The global entities’ forecast is conservative compared with those by local state entities. The Bank of Korea put its growth outlook for this year and 2019 at 2.7 percent each. The foreign banks also painted a bleaker picture for the global economic economy. As of end-November, they adjusted down this year’s average forecast to 3.8 percent and put next year’s figure at 3.6 percent, which is 0.1 percentage point lower compared to the projections made the previous month.